Turntable truck with pneumatic tyres. Designed for heavy-duty use. Made with a box frame and powder-coated finish. 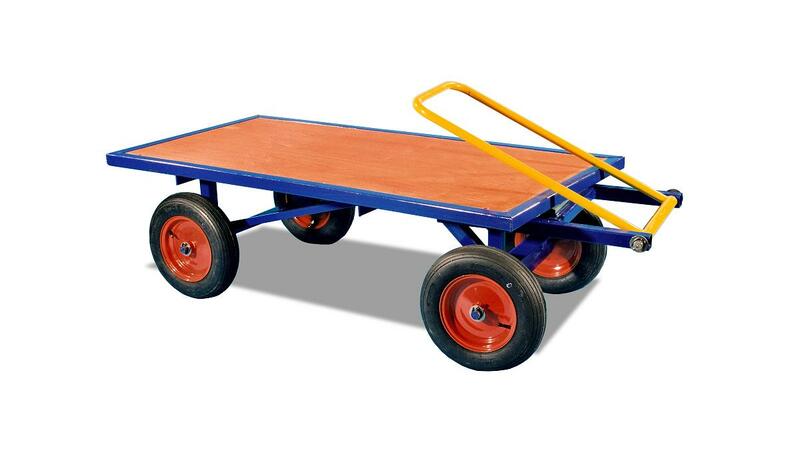 An anti-friction turntable provides easy steering and manoeuvrability.